On Monday May 8th, the Amgen Tour of California bicycle race returned to San Jose with a festival at the Metcalf County Motorcycle park. The location was also the finish line for the day’s stage race over Mt. Hamilton from Modesto. 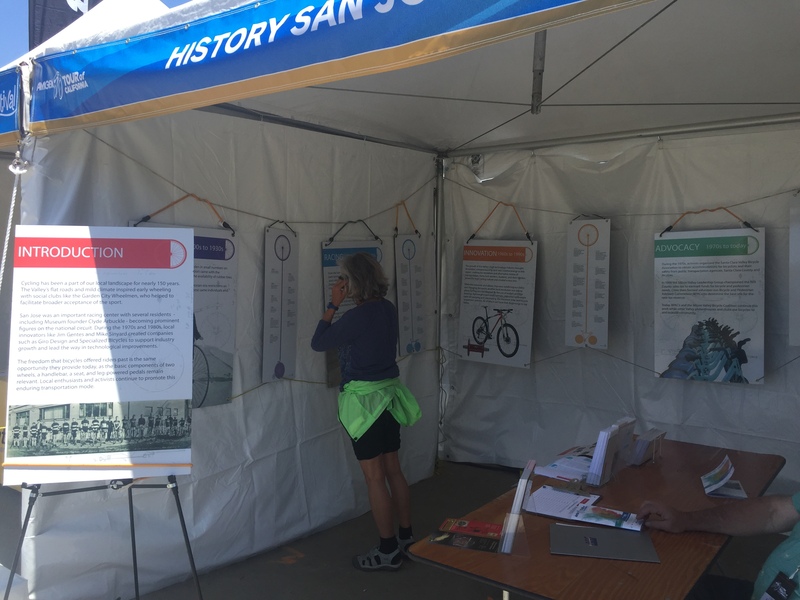 History San José hosted a booth at the event. HSJ’s booth featured material from one of our past exhibits, Silicon Valley Bikes! Passion, Politics and Innovation. 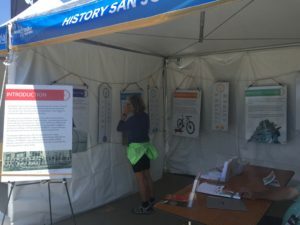 Our community — and History San José’s collection — has a strong connection with bicycling, and the Amgen festival provided an opportunity to share that storied past with a new audience. View the on-line version of the Silicon Valley Bikes! exhibit.